You are here: Home / TOTO Drake Toilet Review: Does It Really Works? TOTO Drake Toilet Review: Does It Really Works? TOTO CST744S#01 Drake 2-Piece Toilet is one of the best models that has all the necessary features of the modern toilets. It guarantees to provide water efficient measures and convenience. Continue reading our TOTO drake review to learn more about this amazing toilet. 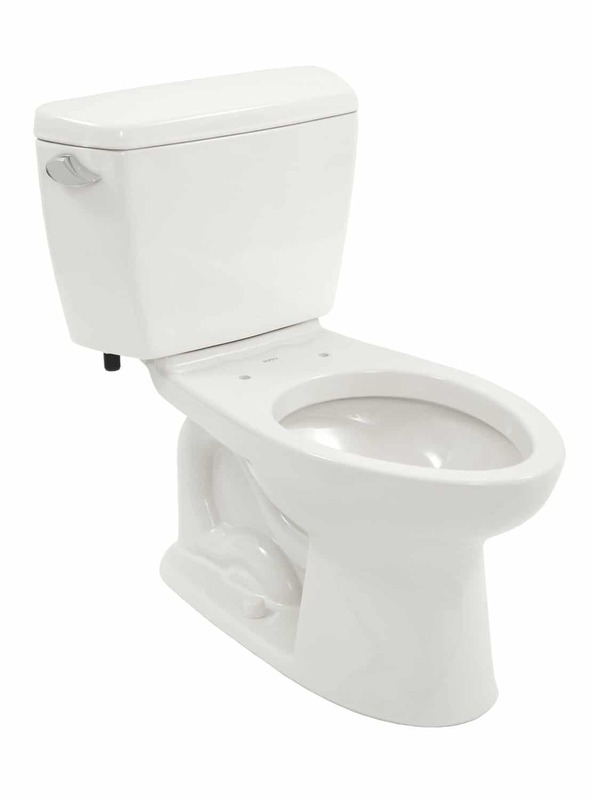 Having a durable toilet with efficient flushing technology means saving your overall money. Nowadays, it’s not the only brand that counts but also how efficient the toilet is regarding water saving. Most of the traditional toilets consume about 6 gallons per flush. That’s too much of water wastage down the drain, while the modern toilets not only have 1.6 gallons per flush tank but also the flushing system is so designed that the water flushes down with full force with the natural force of gravity. TOTO CST744S#01 Drake 2-Piece Toilet is one of such models that has all the necessary features of the modern toilets. It guarantees to provide water efficient measures and convenience. TOTO is among those reliable brands that provide top notch products for your plumbing, bathroom and sanitation needs. It has been on the market for several years and has gained much popularity due to its continually satisfying range of user needs. The TOTO 2-Piece Toilet helps in water saving and maintaining cleanliness in your bathroom with the most reasonable rates in the market. Continue reading, TOTO toilet reviews to check its pros and cons, and features. TOTO Drake Toilet promises to provide you with advance features, high standard quality and great value for your money. It is amongst those brands that one must consider at the time of upgrading or renovating his bathroom. This durable 2-piece toilet is not only from the world’s largest toilet manufacturer, but also it is ADA compliant and is on top when it comes to the cleanliness of your bathroom. Check out best toilet reviews on our website. TOTO CST744SG comes with a separate tank and bowl and is quite convenient to install. Also, having two pieces makes it lighter to be installed properly by a single person. Also regarding cost, two-piece toilets are more affordable, plus their replacement is also affordable because you will only need to replace a single piece, not the whole unit if something goes wrong. Elongated toilets are more convenient, and they give a modern appearance to your bathroom. In fact, they are a sign of a trendy, contemporary and innovative look. Additionally, the elongated models are touted to handle more capacity, ultimately reducing the risk of overflowing or clogging. Above all, this design gives a good impression of your house or office as they are considered elegant, and efficient as well. The health care experts also recommend the elongated toilets for elderly people and those having back problem or with disabilities. The additional space of the elongated design provides more support to the thighs, and evenly distributes the weight of your body, making it comfortable for you. TOTO toilets have the best flushing systems. This model, CST744SG, uses the G-Max Flushing System that is engineered in a smart way. Check out other best flushing toilets. The toilet has an extra wide trapway, typically of 2-1/8 inches with a flush valve of 3 inches. 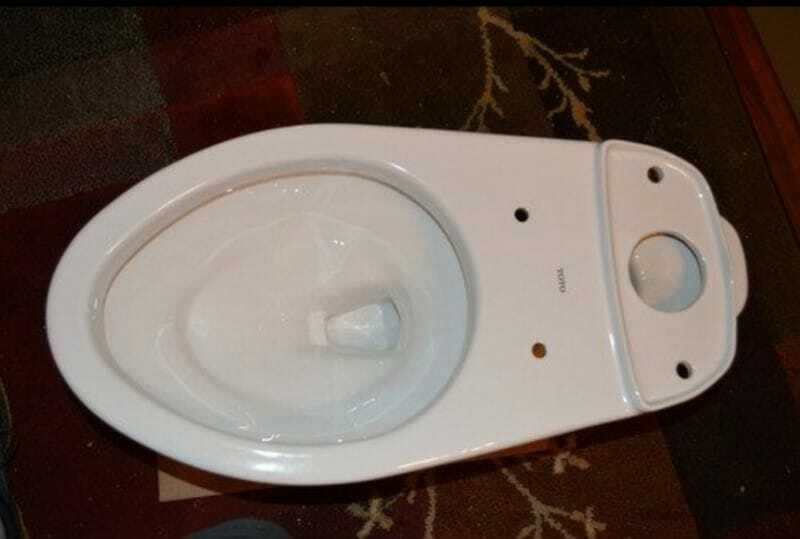 This not only increases the flow of water into the bowl but also gives it a greater force with the help of natural gravity as it swirls down the bowl of the toilet. Moreover, this force flushing system prevents clogging, and only consumes 1.6 gallons per flush, making it water efficient. Above all, this flush is quicker, quieter and forceful, that thoroughly cleans your toilet after every use. 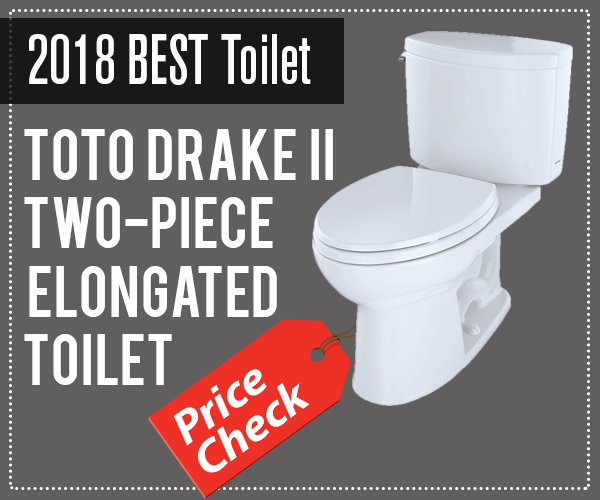 Based on the overall features of TOTO Drake 2-Piece Toilet, we have figured out its pros and cons that are listed as follows. These are important to consider before purchasing so that you’d be aware of what benefits the product will deliver. Water Efficient: There is no doubt that TOTO CST744SG is 100% water efficient as it consumes only 1.6 gallons per flush. It’s perfect regarding water saving! Comfortable Seat: The toilet is designed perfectly for all age group people, especially for those who are an elder or suffering from a disability. 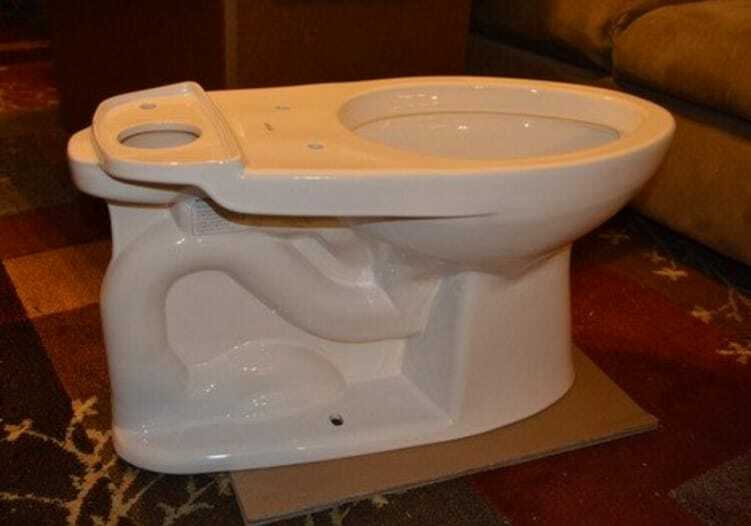 The toilet is ideal and best-known for its comfortable seating. Powerful Flushing Mechanism: With its powerful flushing system, you don’t need to worry about clogging or bad odor after using the toilet. When flushed, it cleans the flush thoroughly and leaves it odorless without any stains left behind. Glossy & Elegant: The surface of the toilet is glossy that gives it an elegant touch. The elongated design makes it perfect for the modern trends and needs of bathroom fixtures. Easy to Install: Because TOTO CST744SG is 2-piece model, it makes it easier to install. 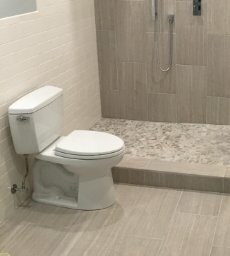 As told earlier, 2-piece toilets are also affordable regarding buying and replacement. Easy to Clean: Though two-piece models are often considered a bit difficult to clean because of being bulky and with multiple pieces, however; the TOTO CST744SG Drake 2 Piece Toilet is a lot easier to clean. The ergonomics are so designed that you won’t have any issues cleaning this revolutionary and innovative toilet. So far, the users who have used have had no problems with the performance and efficiency of the toilet. However, a few have complaint that they feel a bit difficult when cleaning its components. A few users say that bacteria and mildew accumulate in the bolts and hidden areas of the toilet. Overall, TOTO CST744SG is the perfect bathroom fixture for you at a very reasonable price. TOTO Drake toilets are leading on Amazon with an overwhelming rating of 4.5 out of 5 star rating. This bathroom fixture guarantees to deliver what it promises. It’s the best regarding design, quality and flushing mechanism. You can trust the brand for its outstanding specifications and unique design. Best of all, it offers the most competitive price on Amazon.